George Camsell was born in Framwellgate Moor on 27th November 1962. He played local football for Esh Winning and Tow Law Town before joining Durham City in 1924. a team that played in the Third Division at the time. 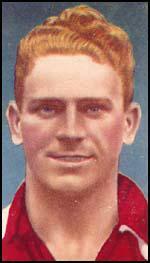 Camsell, a centre-forward, scored 20 goals in 21 games during the 1924-25 season. This was impressive form and on 6th October, 1925, he was transferred to Second Division Middlesbrough for a sum of £500. In his first full season Camsell scored a record 59 league goals. Middlesbrough won the Second Division championship and was promoted to the First Division. Supporters were concerned that Camsell would not be able to produce the same goal-scoring form in the First Division. In the second game of the season, Middlesbrough played Everton. This put him up against the division's best striker, Dixie Dean. Camsell came out on top and scored all four goals in Middlesbrough's 4-2 victory. However, it was Dean who went on that year to beat Camsell's record by scoring 60 goals that season. Everton won the championship and Middlesbrough was relegated. Camsell was in great form in the 1928-29 season and once again Middlesbrough was Second Division champions. That season Camsell also managed to replace Dixie Dean in the England team. His first international cap was against France on 9th May 1929. Camsell scored two goals on his debut. Two days later he scored four against Belgium. Later that year he scored two against Ireland and three against Wales. Camsell lost his place and did not play for his country again until 1933. He scored two goals in England's 4-1 victory over France. Once again he was dropped but when he returned in 1935 against Germany he scored two of the goals in the 3-0 win. He also scored in all his three international games in 1936. Despite scoring in every game he played for his country, his game against Belgium marked the end of his international career. He had the tremendous record of scoring 18 goals in nine games. 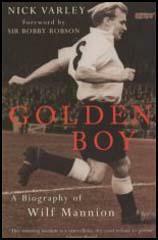 In the 1938-39 season Camsell developed a good partnership with the team's young inside-right, Wilf Mannion. 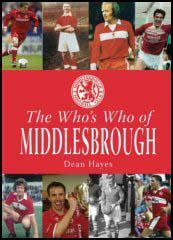 That season Middlesbrough scored 93 goals and finished in 4th place in the First Division. The outbreak of the Second World War brought an end to Camsell's football career. He had scored 325 goals in 419 games for Middlesbrough. After the war Camsell worked as Middlesbrough's coach, chief scout and assistant secretary before retiring in December 1963. George Camsell died in 1966.